The Great Chicken Coop Stakeout is a research project run through the Biodiversity Lab of the new Nature Research Center (NRC) wing of the North Carolina Museum of Natural Sciences and the Wildlife Program of North Carolina State University. Survey the carnivores of urban and rural areas. Determine which predators are attracted to back yard chicken coops. More background about the questions motivating this project can be found at our science page. The data for this project will be collected with camera traps run by volunteer chicken-keepers in March and April of 2012. The camera traps will be returned to the Biodiversity lab during the 24 hour Grand Opening Celebration of the NRC 20-21 April 2012. Lab staff and volunteers will enter the images into a database, use them to test hypotheses about predator behavior, and make animal videos. We will constantly update the results of the projects during the 24-hour opening and share the graphs and videos with all visitors at the lab, as well as the Daily Planet theater and the NRC’s Science Cafe. 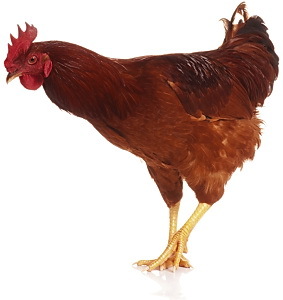 If you have a backyard chicken coop in the Raleigh area (urban or rural) and would like to participate in this research project please visit our volunteer page.